Au Bec Fin Hôtel is located in the centre of Aix-les-Bains and the beautiful Lac du Bourget. It is just a 5 minute walk to the Casino Grand Cercle and offers free Wi-Fi. Rooms are cosy and well-equipped with TV, telephone and en suite facilities. The Au Bec Fin Hôtel is just 2 kilometres to the golf course and close to the Aix-les-Bains’s hot sulphur springs. The A4 motorway is a 2-minute drive away. 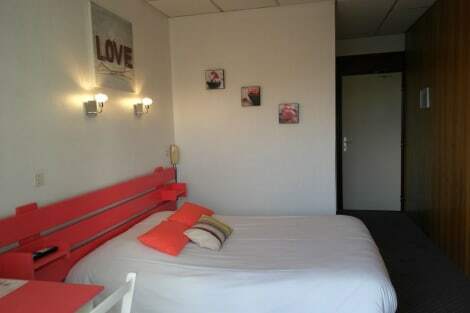 Located in the city centre of Aix les Bains, the hotel Annapolis is a few metres from the train station, in a neighbourhood with many shops and restaurants. The hotel Annapolis features well equipped 18 rooms which can accommodate 1 to 4 people. The breakfast is served in the restaurant. Hôtel Thermal is centrally located in Aix-les-Bains, a 3-minute walk from Grand Cercle Casino and 6 minutes by foot from Congress Centre. This hotel is 0.5 mi (0.9 km) from Thermes Chevalley. Le Carré d'Aix is a 5-minute walk from the Railway station in the historic centre of Aix-les-Bains. It offers rooms with a refrigerator, a TV and free Wi-Fi access. The Palais des Congrès, racecourse, nautical centre and lake are just a 15-minute drive away. The breakfast is served in the breakfast room. A hotel card will be given to you at your arrival in order for you to take advantage of free city transport, discounts on public car parks and on a wide range of activities. With a stay at Hotel Le Colibri, you'll be centrally located in Aix-les-Bains, within a 5-minute drive of Lake Bourget and Grand Cercle Casino. This hotel is 0.5 mi (0.8 km) from Faure Museum and 0.6 mi (1 km) from Congress Centre. Enjoy a satisfying meal at L Estrade serving guests of Hôtel Agora Hyper Centre Ville. Quench your thirst with your favorite drink at the bar/lounge. Buffet breakfasts are served on weekdays from 7:00 AM to 10:00 AM and on weekends from 7:00 AM to 11:00 AM for a fee. Stay in one of 18 guestrooms featuring flat-screen televisions. Complimentary wireless Internet access keeps you connected, and digital programming is available for your entertainment. Private bathrooms with showers feature complimentary toiletries and hair dryers. 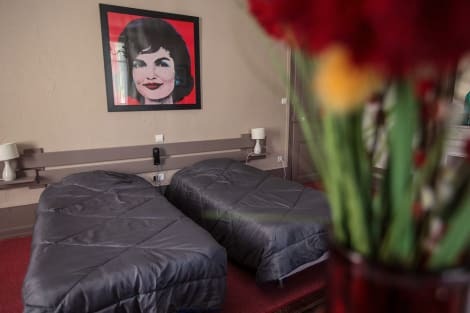 Conveniences include phones, as well as irons/ironing boards and blackout drapes/curtains. This property enjoys a privileged location in Aix les Bains. The Hotel was built in 1817. The hotel was completely renovated in 2011. The Hotel is ideally located in the center of the city. The main bus and train stations are a few kilometers. The Hotel is within walking distance of several metro and bus stations, a few minutes drive from the airport. The Hotel is within walking distance of the main entertainment of the city. Golfers can enjoy the golf course nearby. Guests will find the beach just a few minutes from the property. The Hotel is located just steps from the port. With a stay at Best Western Aquakub in Aix-les-Bains, you'll be a 2-minute walk from Lake Bourget and 14 minutes by foot from Le Grand Port. This hotel is 1.5 mi (2.5 km) from Grand Cercle Casino and 1.7 mi (2.7 km) from Faure Museum. lastminute.com has a fantastic range of hotels in Aix Les Bains, with everything from cheap hotels to luxurious five star accommodation available. We like to live up to our last minute name so remember you can book any one of our excellent Aix Les Bains hotels up until midnight and stay the same night.